A water feature is a great addition to any yard, but with the number of choices out there, it’s easy to be overwhelmed. 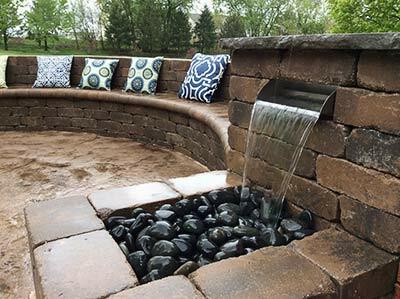 At Earthly Possibilities, our designers stand ready to assist clients in choosing the water feature that fits their needs, lifestyle, and budget. We can design and create ponds of all sizes and shape. We can create a pond that is healthy and safe for fish to exist. Perhaps you want a pond filled with aquatic plants of vibrant colors and textures to create the ultimate centerpiece for your landscape. Your backyard pond can also be just a small, clean, and clear body of water for reflection. Whether you want a water garden, a fish pond, or a reflective pond, our experienced team can design and build it. At Earthly Possibilities, we build fountains with water conservation in mind. All our fountains recycle water to help cut down your water bills. 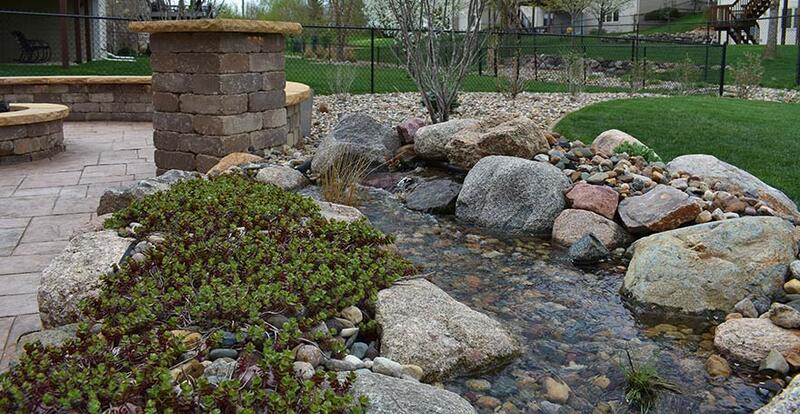 Imagine rippling, rock-lined flowing water meandering through your garden. 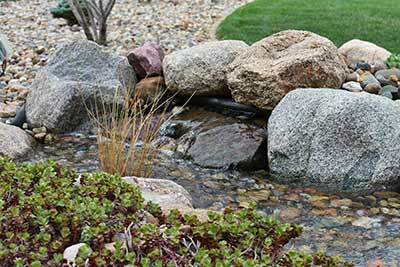 Streams are one of our most popular water features that we install. They remind people of mountains out west and upland meadows. Streams can be positioned on level land, a slight pitch or slope, or around a winding hill. Our streams feature underground reservoir that pumps water back to the top, so that water is recycled. Our waterfalls combine the relaxing effect of waters with the beauty of modern architecture. Taking inspiration from nature, our designers create waterfalls that rival natural ones in nature. When designing a waterfall, our designers will discuss with you your personal preferences such as whether you prefer soft or loud cascading sound and what type of waterfalls you like. At Earthly Possibilities, we strive to provide our clients with cutting-edge water features in their landscape. Combining creativity with the latest methods and technologies, our team pushes the boundaries of design. We pride ourselves in creating water features that are functional, beautiful, and long-lasting. Earthly Possibilities also does water feature maintenance, spring clean ups and fall shutdowns for our clients to help maintain and keep them looking their best. We also take a collaborative approach to the design and build process. We work closely with you, the client, and with the architecture team and other key players on the project. Contact us today to get started!